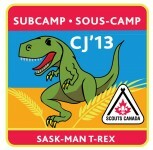 This is were we will post CJ’13 links and info as it comes available. Check back often. The newest items will be labeled “New’ in the left column. 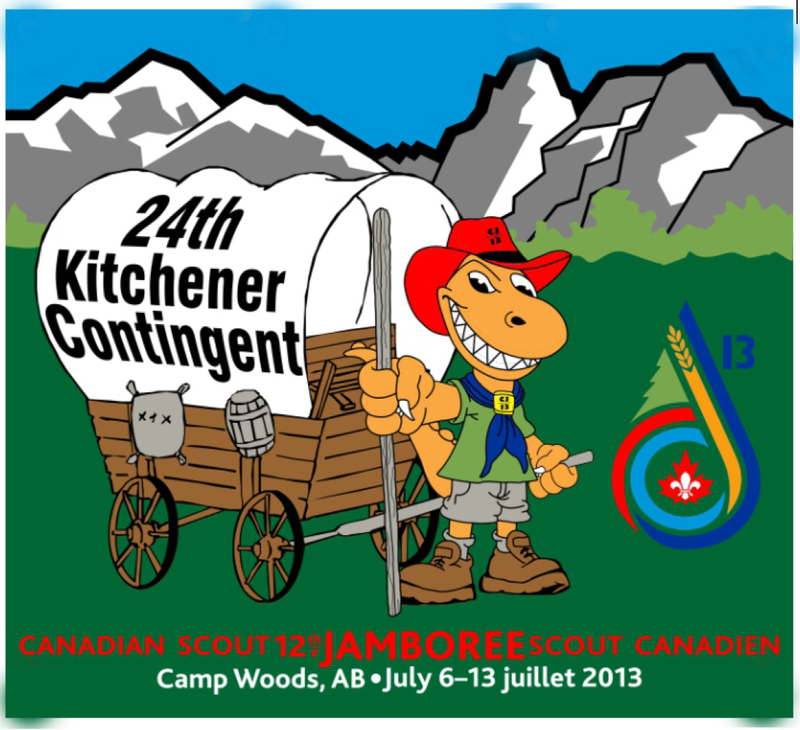 This is our 5′ Banner to hang in our site. 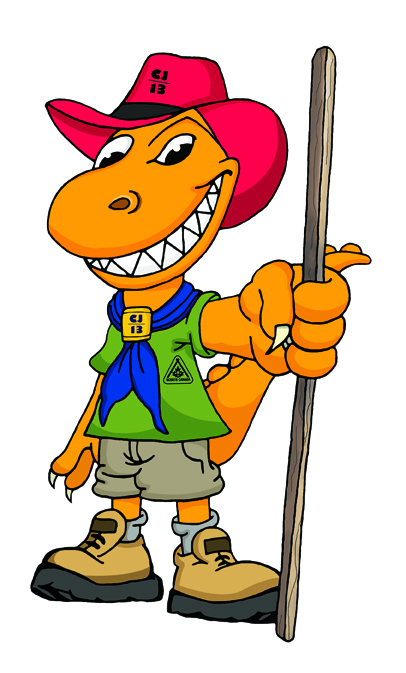 “Albert – The Albertasaurus” was selected from among several entries received in response to our October 2011 Scouting Life article mascot contest. 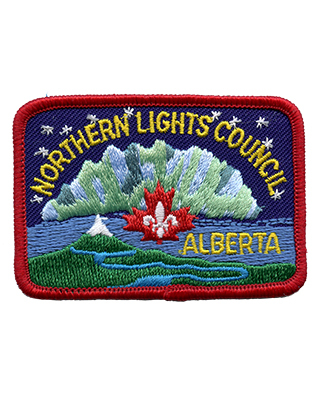 The winning entry comes from Scout Sofia Guest of Northern Lights Council, Alberta. 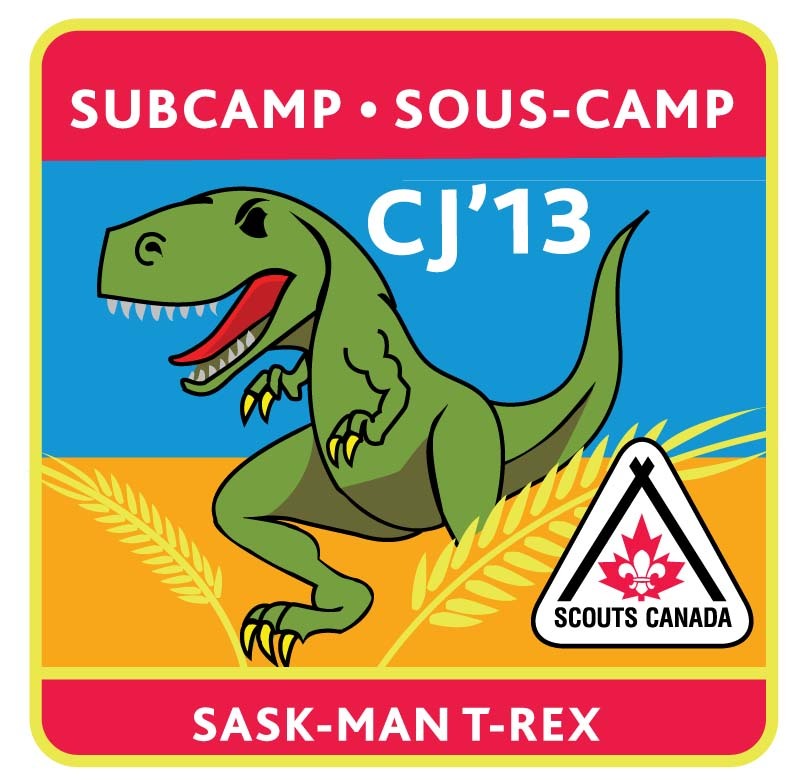 Albert’s winning smile and catchy name really captured the judges’ attention.With Alberta home to many important dinosaur skeleton finds, Albert – The Albertasaurus is a fitting mascot for what promises to be the best Canadian Scout Jamboree ever! 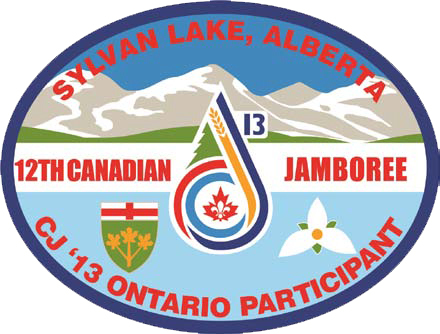 The idea behind this logo design comes from the shape of a water drop, or oil drop — which relates directly to Sylvan Lake and Alberta. 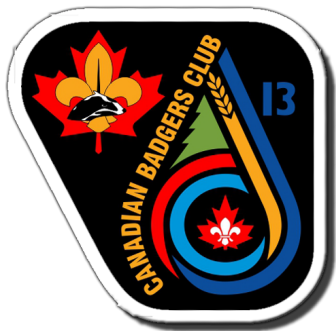 The initials “C” and “J” can be seen in light blue and “Alberta blue” intertwined with a tree and a shaft of wheat which uses “Alberta gold” as its colour. 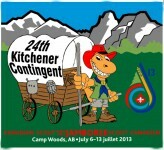 These colours can also be seen in Alberta’s provincial flag. 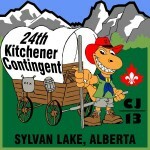 24th CJ13 Prerequisites for Scouts 24th CJ Prerequisites.An assortment of things to be accomplished all intended to ensure that all 24th CJ13 Participants will ‘Be Prepared’ to “Do Your Best’ And have a great time on our CJ13 Experience.Click here for the Prerequisite list details. CJ Fundrising This Fundraising document will help explain the need for special fundraising and the process of making it happen. What will it Cost? This is a link to an Excel spread sheet of our Budget that will require Excel to open.CJ13BudgetWEB. 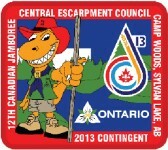 Return: Wednesday, July 17 at approx 6pm The actual Jamboree starts July 6 and ends July 13. 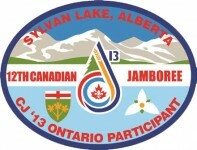 Sylvan Lake, Alberta Camp Woods, Northern Lights Council, Alberta, has been chosen as the site for the 12th Canadian Jamboree in 2013. 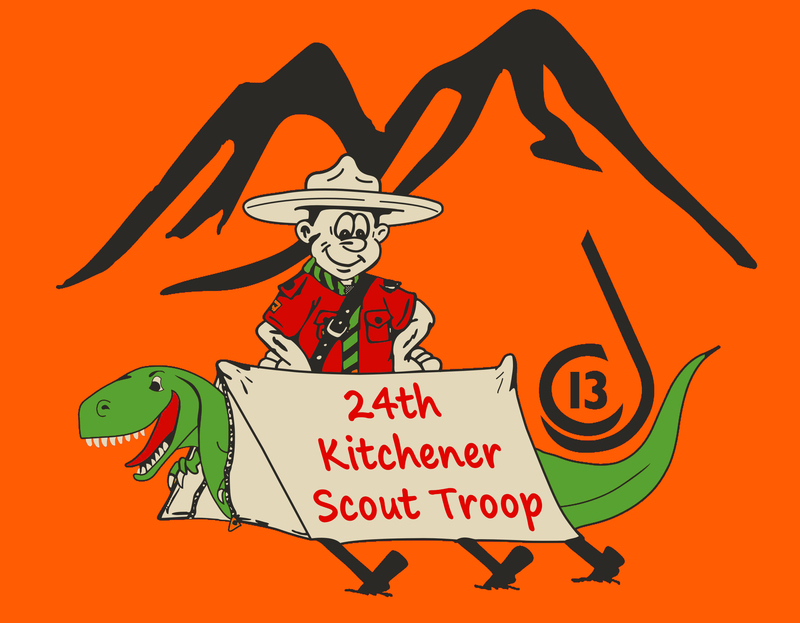 This Scouts-owned site is large enough to support an event of approximately 6,000 (5,000 participants and leaders and 1000 offers of service). It is situated on the shores of Sylvan Lake, boasting a small beach, boat house with docks, large field area and flat and slightly rolling terrain. 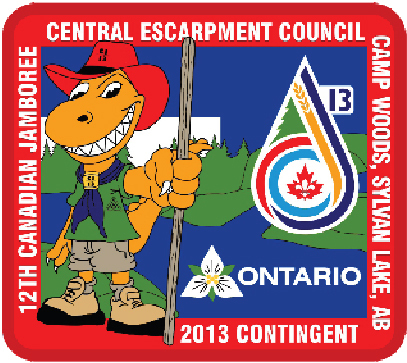 It has an infrastructure already in place that would rival Camp Tamaracouta when it comes to accessible buildings, electricity, water systems, road access and campable space; including a developed campground-like park. It is within an easy 1 ½ hour drive from either Edmonton or Calgary airports, both of which are international in scale. 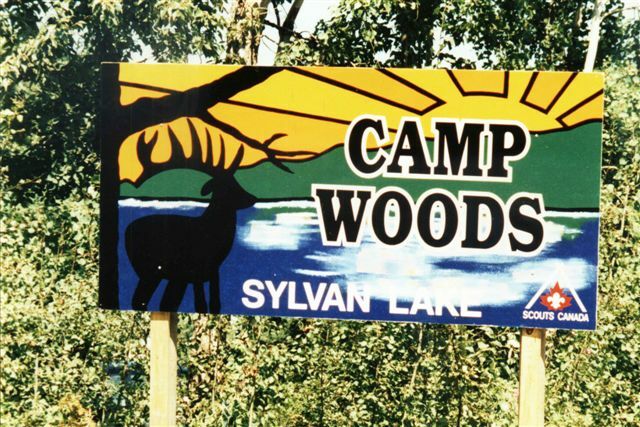 It is serviced immediately by the Town of Sylvan Lake and then by the City of Red Deer (population 90,000; 20 minutes away). 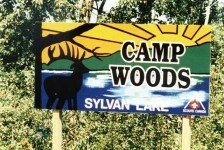 Revised Google MapClick on the map for a satellite view of the camp.Zoom in for a closer look at Camp Woods.